It was one of the highlights of last week’s Republican presidential candidate debate, the moment when Carly Fiorina shared that she and her husband had buried a child due to drug addiction. All the bombast of the candidates fell away as this strong woman shared her private heartache. It is a tragedy that far too many families in this nation must endure. The loss of life to addiction has reached epidemic proportions, and yet the discussion continues to rage about whether incarceration or treatment is the better response. Thankfully, the tide is turning in America and treatment options are gaining ground. Though it’s socially acceptable to point fingers at marijuana as a gateway drug, mostly because it was smoked by the anti-establishment hippies of the 1960s, studies have shown over and over again across decades that in the United States, alcohol is the number one gateway drug. Further, if you believe the gateway drug theory, there is a direct connection not between marijuana and “harder” drugs, but between prescription opioid medications and heroin, making prescription painkillers a gateway drug. Though it is true that marijuana is much more potent than it was “when Jeb [Bush] smoked it,” decades ago, it is not proven to be the gateway drug that the political establishment has suggested. The science simply doesn’t bear out. Our focus should be on alcohol, prescription pills and heroin, and synthetic drugs. Those are the greatest dangers to our children and communities. Because addicts engage in hurtful and sometimes morally reprehensible behaviors, it is easy to see them as bad or criminal. The more accurate way of viewing the addict, however, is as someone in pain whose brain has been changed by engaging in addictive behaviors. There are recent studies that tell us that the addict’s brain is changed by drug-seeking activities. But there is hope for recovery. Researchers at places like Harvard University have shown that activities addicts use in treatment, such as a meditation practice, can actually grow the brain in healthy ways. In American drug court experiences and the “Portuguese Experiment”, in which drugs were decriminalized nearly a decade and a half ago, we find many happy successes. Quality treatment of a duration significant enough to make major changes to the workings of the brain and treat, through psychotherapy, the underlying pain causing the addiction, works. Addressing this national problem really is as simple as making quality treatment available to those in need. 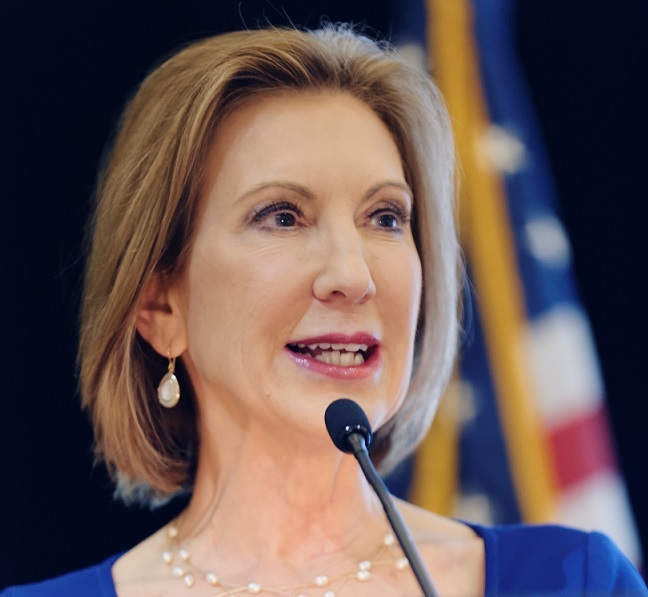 Fiorina’s courageous telling of her experience should shine a spotlight on our need as a nation to change our attitudes toward substance abuse and substance abusers. Not only is compassion good for the addict, who will receive treatment rather than the useless punishment of incarceration, but it will also save families from breaking apart and suffering losses like Fiorina’s. Further, addicts who are treated can go on to live successful, productive lives, in which they pay taxes, sit on juries, vote, volunteer and otherwise participate in community life in positive ways. Treating addicts is a win for everyone. Thank you, Ms. Fiorina, for using your personal loss to help others get their lives back.